We also have an experience Customs Clearance Services team which helps in solving the queries of the clients regarding entry, delivery, tracking and billing details of the shipment. In the entire process, our professionals stay in touch with the clients and see to it that their shipments are delivered to the carrier and do reach their desired destination in time. Clearance services on offer are progressively on electronic data interchange including receipt of soft copy shipping documents and their transference of bills of entry and shipping bill. Further processing in the customs house, cargo complex is also on customs EDI. 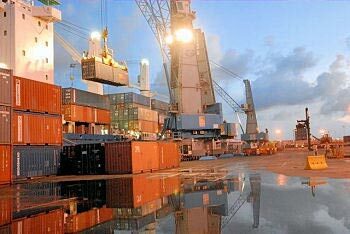 Services offered include assistance in valuation procedures, filing and cancellation of bonds, filing and pursuing refund claims, project imports / exports and liaison with allied agencies. Import customs clearance i.e. HSN classification, rate of duty, preparation of bills of entry, processing custom clearance, assessment, custom examination and obtaining customs out of charge and arranging dispatch, offer logistics solutions to meet time cost, delivery to the destination. Export custom clearance i.e. Preparation of shipping bill, classification for drawback, DEPB or DEEC, receipt of goods, measurement, weightment as also marking, labeling processing customs clearance customs examination and obtaining customs out charge and handling over international carriers as good for carriage. Total Logistics- single-window comprehensive door-to-door services. As business requirements have shifted, the need for higher efficiency and more economical logistics spending has increased. We can provide the solution to any shipping requirement and serve as a single-source logistics window for all product or components moving through your supply chain. Our Door To Door (DTD) program takes care of the entire Logistics process. Each shipment will be picked-up from the shipper at Origin and delivered to Door here in India. The Account coordinator serves as a 'single window', continuously monitoring shipments from the origin to destination and the custom clearance process, ensuring that there is no communication gap while interacting with multiple agencies in the supply chain. Periodic reports are generated and circulated to all the concerned personnel. As part of our basket of services enabling you to reduce overheads, increase efficiency and cut down valuable management time. Our warehousing services include : Reliable data-collection and reporting systems assures accurate information and visibility on inventories and order processing using state of the art Warehouse Management Systems (WMS) that can be interfaced with that of the customer. Storage, consolidation, repacking, documentation, labeling, invoicing, finished and spares inventory management, distribution and service support, cross talking are all services provided if required. We handle all logistics activities for spare parts including repair and reverse logistics, replacement, re-export and scrapping. Storage, consolidation, repacking, documentation, labeling, invoicing, finished and spares inventory management, distribution and service support, cross talking are all services provided if required.